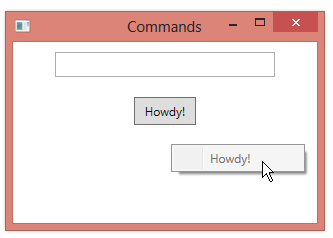 Let’s say that you set up command bindings for a main Window in an application and then use the command for some control (e.g. 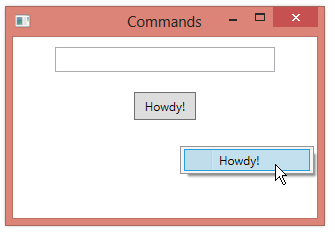 a Button) and also within a ContextMenu. (Assume that the GreetUser_CanExecute method always returns true). If you run this code and right-click on the window to bring up the context menu, the MenuItem is greyed out. It’s not binding correctly to our CanExecute method. The Button, on the other hand, did find the binding.